Apple is known as the tech powerhouse that no one can beat. This idea happens to be one that it held by many, and with good reason. Apple, over the past 10 years it feels like, has released tech device after tech device that have shaped the mobile market. It’s gotten to the point now that Apple is more known for mobile technology than its desktop computers. The iPod changed everything when it first came out. It was the MP3 player that outdid the Walkman and had every other developer scrambling to make their own version of it. Now skip ahead to the present and you can find iPads and iPhones anywhere you look. Recently, however, it seems like Apple might be losing their luster. The big thing that you will see on commercials just about everywhere now, is the new iPhone 6 commercials. The big deal with the new phones is that well.. they are big! Much bigger in fact. Now, Apple has finally stepped into the world of the “phablet”. For those that are unaware of this term, it’s exactly what it sounds like; a phone and a tablet essentially together. The reason for the name is that its too big to be a phone, but too small to be a normal tablet. 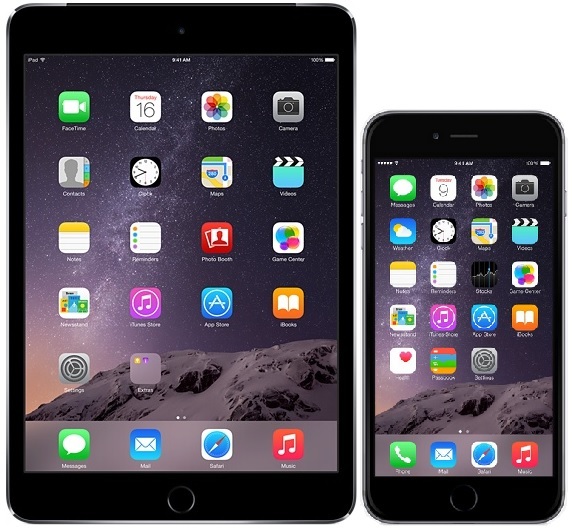 The new iPhone 6 and 6 Plus are just what everyone has been waiting for if you think about it. A phablet to compete with Samsung and have more power and better features. The only problem is the dreaded “bendgate”. Yes the phones can bend and break that way, but that will happen with just about any phone that is 5.5 inches and really thin. The new iPhone however may have hurt Apple in a way that they didn’t mean to have happen. The newest iPads that were released at Apple’s iPad left everyone feeling a little less than excited. The reason being the fact that the new iPad Air 2 and iPad Mini 3 didn’t really offer anything too crazy! The new iPad Mini 3 didn’t even come with an upgraded processor. It, in fact, has the same processor as the iPad Mini 2. The only real upgrades to the new tablet is the upgraded cameras and an updated paint job. The iPad Air 2 got a bit more of an upgrade. It’s now working with eh A8X chip, which just so happens to be the same chip that is used in the new iPhone 6. It’s more powerful, and it’s thinner. It also comes with the same iSight cameras that are used with the new phones. Even with these though, it’s giving some people mixed signals on how they feel. SEE ALSO: Apple’s New 5K Retina iMac Sure Looks Impressive, But Is it Worth It? There are so many sizes of iPads now, that having a small “phablet” as part of their product line might hurt the sales of the iPad Mini 3. Tablets are a way to have a powerful computing device that’s more mobile than a laptop. The success of them can speak for itself. The new iPhone 6 is basically a pocketable tablet that you can take anywhere now, and has the capability of a phone. This could easily affect the sales of new iPads. Yet another issue is that people don’t “renew” their tablets like they do with their phones. Instead of getting rid of the tablet, many people will just hand them down because of how expensive they are. This is hurting tablet sales all around. Apple’s continued push of new iPad with slightly better chips and cameras isn’t really giving the same excitement that it used to. It seems like Apple is running out of ideas, and is just resorting to making their devices thinner or larger. What will happen when Apple finally runs out of ideas? 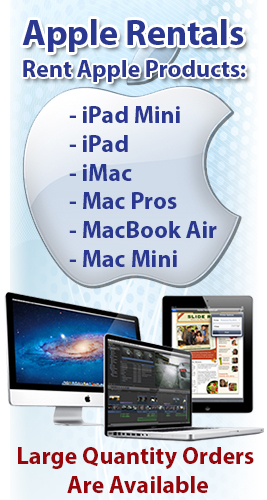 Oh, and there’s a company called Rentacomputer.com that rents all of these Apple devices. From iPads to iPhones to iMacs.